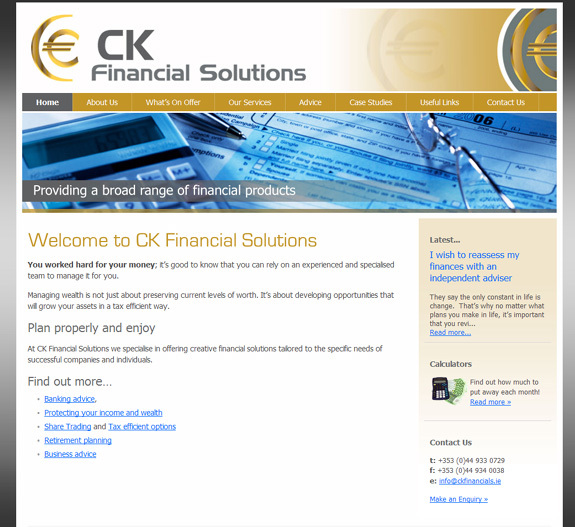 CK Financial Solutions are a dynamic team of dedicated professionals offering independent financial and business advice to successful companies and individuals. They are committed to providing superior service to their clients and have the skills and experience necessary to deliver creative wealth management solutions through a wide range of financial options. Check our their new website for infomation on all the services they provide as well as the great informative advice section.